“Corners: Voices on Change” is a collection of stories about adaptation, about passing through a critical juncture, and gaining a fresh perspective. The book is comprised of 25 stories by 25 writers who are confronted with a major turning point in life. They face physical difficulties, marital strife, failing relationships and deal with social and mental dilemmas. Many authors speak to attitudes we carry, beliefs we share and societal values. Some writers are able to turn corners more easily than others. Plenty go on to forge a new life path while others greet the transformation as it stands and even learn how to make peace with it. Amy Lou Jenkins, who edits and contributes to this anthology of short stories, begins the book with her perspective. She describes her take on the idea of change and what it means to our existence. Like the other authors in the book, Jenkins discovers that adaptation is constant and necessary. The title, “Corners: Voices on Change,” summoned me to hunt for the changing circumstance within each story. Some are more obvious than others, although none are inconsequential. There are certainly those that resonate with me more clearly. I was enlightened by several accounts that address the subject of motherhood, marriage and how we transform into middle age. There are other stories that I found to be more perplexing and tough to filter through for significance. I don’t usually choose to read anthologies because I find switching writers from chapter to chapter unsettling. This book is no different. In one story the words flow gracefully yet in the next the author’s voice takes on a sharp, active rhythm. A couple of pieces are efficient and documentary-like, others are reflective and poetic, many are oral narratives and a few get argumentative and downright forceful. But the contrast teaches the lesson that the book advocates, change in voices. So, I learned to adapt as a reader by experiencing what is uncomfortable and finding a new perspective each time. In the end, I find the variability refreshing and inspirational. The quality of the writing is also quite variable. For the most part the authors are clear and natural with their words and you stay engaged in their stories. There are some instances when I get lost in the verbiage or feel a bit like the author is using his/her narrative as a soapbox or therapy exercise. But that is the benefit of reading a piece with several short stories - each one only lasts for a few pages. 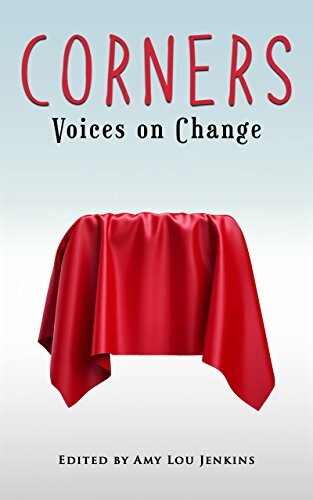 “Corners: Voices on Change” is a compilation of memoirs that lead the reader through the process of alienation, diversion, connection, addiction, obsession, absorption, resistance and acceptance. Each story is like a flower to pick, smell and maybe take from it a seed that you can plant in your own garden. I would highly recommend this thought-provoking collection to anyone facing a difficult transition in life.